Would you like to be more organized at home and still have stylish décor? BrylaneHome can help you with your home inside and out! This 3 Drawer Storage Bench comes with neutral fabric drawers that are sure to help you organize any room in the house! Time to do some spring cleaning and decorating and now you can with a little help from BrylaneHome! 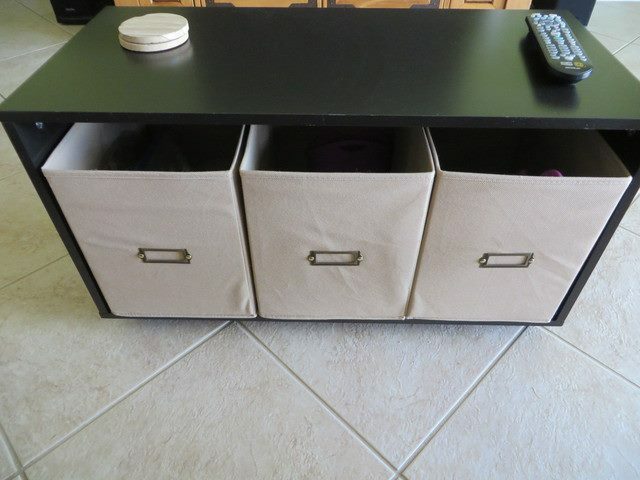 Wouldn’t you love that three drawer storage bench? Here’s you chance jsut enter on the giveaway below and GOOD LUCK! I would put it in the back den so we can put all their gaming stuff in it. I know it would get a lot of use. I would put this in our entryway! This would be perfect in my living room! I would put this in my entrance hall – it would be perfect. I would love to put the 3 Drawer Storage Bench in my entrance. Always something to trip over but this would help out with that at the same time looking very nice! In our living room. It would be a great way to hide our shoes and the kids toys. I would put this is my bedroom. We don’t have an entryway/mudroom, so our dining room is the collection spot for shoes, backpacks, etc. I would love to put this in the corner and have it all organized! If I win, you will find this in my living room! I would put it in the laundry room so we could use it to sit and put our shoes on and have additional storage space. This would be perfect. I would win this for my daughters living room apartment. Everything is black and white. I would put it in the entry way, get kids shoes organized. I would put it in the living room right in the entry way! Thanks for the giveaway! I would use this in my bedroom at the foot of the bed for extra blankets. I would also make a pillow top to sit on. I think I would put it in the guest room . This would go in my front room , everyones shoes and junk seems to acculumate there . This would be the perfect item in my hallway. In that room that spell check is not even picking up…you know the entrance way. I would use this in my spare bedroom. Thanks! This would be perfect in our family room! In the playroom for extra toys. I would put the BryLane Home Storage Bench in my bedroom. I would use it in my bedroom at the end of the bed. This would go in the entry way by the front door. To tell you the truth I would put this outback of our downstairs patio for all swim gear for the pool this would be perfect for the kids to know where all their stuff are at. If I won, the storage bench would go in our family room. It matches perfectly! I would put on my porch by front door. Gloves hats and Morton’s! I would put this in my bedroom. It needs some organizational help! This would go in my entry way. I need a place to put mittens/hats etc. This is a super nice piece that would look great in my home. i would put this in the laundry room to help organized it. I’d put it in the entry way. It would be great for storage of all those random odds and ends. I would use this bench in the foyer. Would go in my powder room/ laundry room. I would use this in the laundry room area. In my living room for my sons train tracks which are currently being stored in a plastic bin. In our family/activity room! Looks so great. Thank you! It would go in my pantry for recycling! This would go right in the entryway for shoes! I would love it in my craft room to put my scrapbooking supplies into in. I’d probably use it in my bedroom. In my living room I think. I would put this in my office! I would use this in my play room. Hmmm….I would use it either in my bathroom or laundry room. I would put it in my living room.Probably put toys magazines in it. Probably the living room. We have a small apartment for our large family so storage is hard to come by. Not sure, maybe in the dining room!? i would put it in our mudroom/entry way! it seems like it always gets so messy in that area! It’d go in the office. In my office under a window..I have a feeling the cat will like that choice too. I think I would put this in my own bedroom. I need the storage! On one end of the Family Room, there is a large window. I’ve been wanting to find something for that spot; this would be perfect!